The DRHW is conducted along the lower Detroit River in southeast Michigan. The count takes place at the Boat Launch of Lake Erie Metropark (LEMP). Counting in previous years was often conducted at Pointe Mouillee Headquarters. 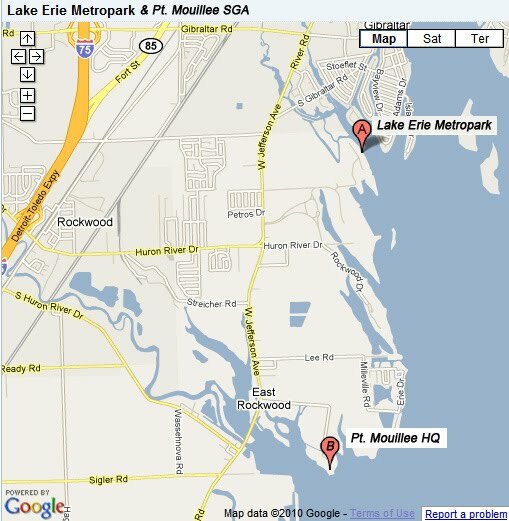 Lake Erie Metropark (LEMP) - From I-75 exit at Huron River Drive (exit 27). Continue east on Huron River Drive. Turn left on West Jefferson and proceed a few hundred yards to the entrance of Lake Erie Metropark. After paying the entrance fee, follow the signs to the Boat Launch.